run rules, scripts and associated data sets (e.g. viewsets). Submitters are not required to submit depth images with a submission. Submitters must retain depth images to be available upon request by any committee member during the review period. After the review period, submitters are not required to retain depth images. 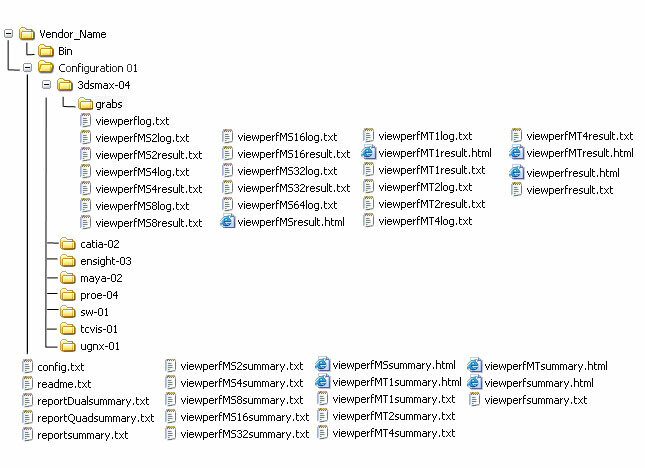 The submission file names must contain gpc_v for SPECviewperf, contain all lower case letters and not contain '.' except prior to the zip or tar file extension (e.g. intel_gpc_v_jun99_v0.zip). The file version is denoted prior to the file extension. The initial file version is v0. Resubmitted files must increment the version number.